Kyäni’s products combine the best of nature’s adaptations with the latest modern technology to ensure a healthy you inside and out. You can achieve maximum wellness by nourishing the body within, and also promoting confidence with a youthful appearance. 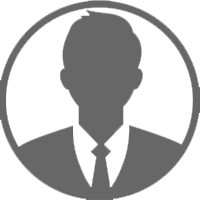 Kyäni developed its signature nutritional line, the Kyäni Triangle of Health, to support our body with the nutrients it may not receive from a modern diet often lacking in nutrition. 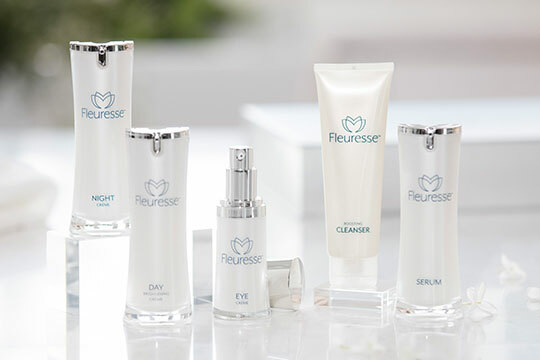 And the Fleuresse skin care system is based on natural adaptations that promote longevity. 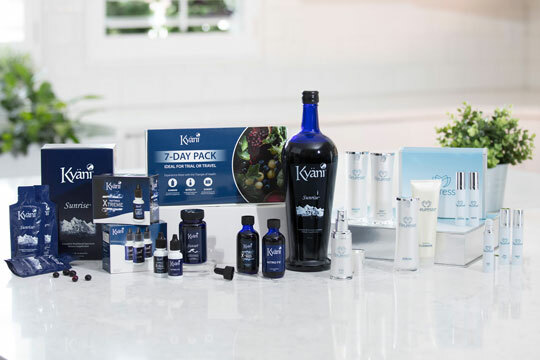 Together Kyäni’s unequaled products help you feel and look your best. The story of the Triangle of Health begins with the Wild Alaskan Blueberry. This remarkable fruit is packed with powerful antioxidants to overcome environmental stressors. Combined with 21 other superfoods, it is the signature ingredient of Kyäni Sunrise. 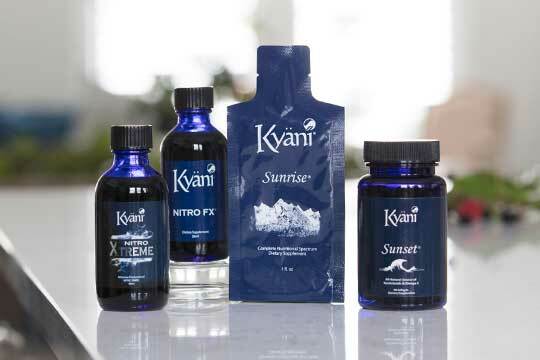 The Triangle of Health also includes Kyäni Sunset. Sunset is full of Omega-3 fatty acids, derived from the Wild Alaskan Salmon and other wild-caught fish, that help support the body’s systems. The full power of the Triangle of Health is realized with Kyäni Nitro. Helping your body produce Nitric Oxide, Kyäni Nitro ensures adequate nutrient delivery for optimal wellness. Our skin contains remarkable stem cells that renew the damage we sustain on a daily basis. Environmental pollutants and stressors impact our appearance, making our skin appear dull and wrinkled. And as we age this regenerative ability diminishes. Kyäni Fleuresse supports the body’s ability to regenerate skin to maintain a youthful appearance. The key ingredient in Fleuresse is stem cell extracts from a rare variety of Swiss apple known for its longevity. Combined with other remarkable ingredients found in the Triangle of Health, Fleuresse hydrates and nourishes skin for a brighter, more youthful appearance. 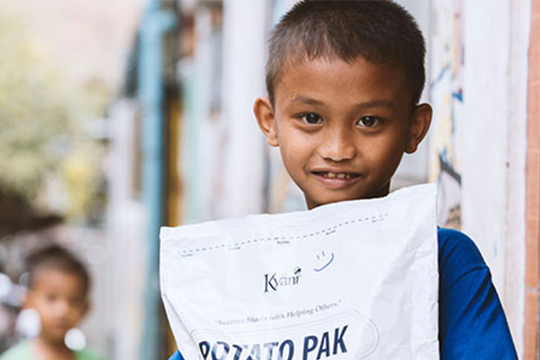 Complementing the Kyäni Caring Hands program, Kyäni has used its expertise in both nutrition and agriculture to develop Potato Pak—life-sustaining nutrition that is donated to those who lack the means to feed themselves. Each Potato Pak serving contains protein, vitamins, and minerals, and meets all the provisions of the World Food Program as a complete meal. With the help of donors from all over the world, Kyäni delivers Potato Pak wherever life-sustaining nutrition is needed the most. To date we have provided more than two million servings of Potato Pak for children and others in need across the globe.